You have to stay up really late to catch this one on “Game Show Network. ” View a bigger version here. P.S. You don’t even want to know the strangest place Dr. Zola has ever made whoopee. This entry was posted in A.I.M. 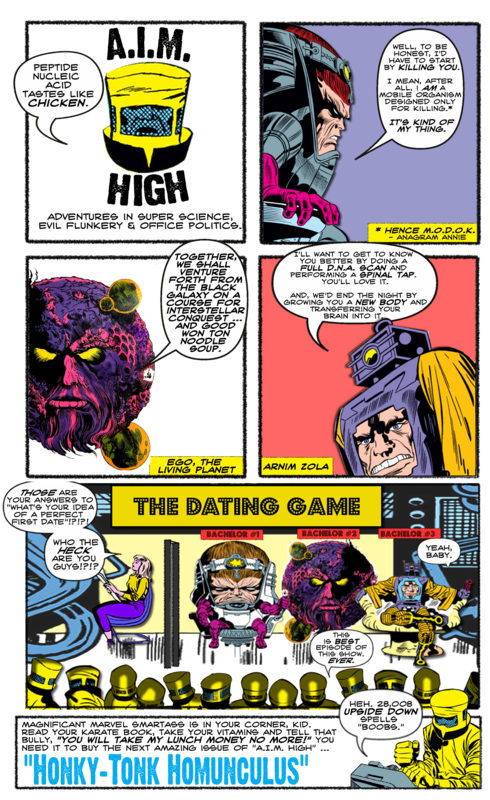 High, Comic Book Humor, Comic Books and tagged AIM, Comic Books, Comics, Ego the Living Planet, Jack Kirby, Marvel, Marvel Comics, MODOK, Stan Lee. Bookmark the permalink.